Chicken. It is usually what I find myself cooking for either lunch or dinner… or both. It’s so easy and so versatile. The other night, I came home late from school and wanted to cook some chicken breasts I had in the fridge, but wanted something quick. So I opted for citrus juice and herbs. A light and healthy combination, as well as quick because all the ingredients were right on hand. I put two chicken breasts on a cookie sheet with some cooking spray, and preheated the oven to 375 degrees. 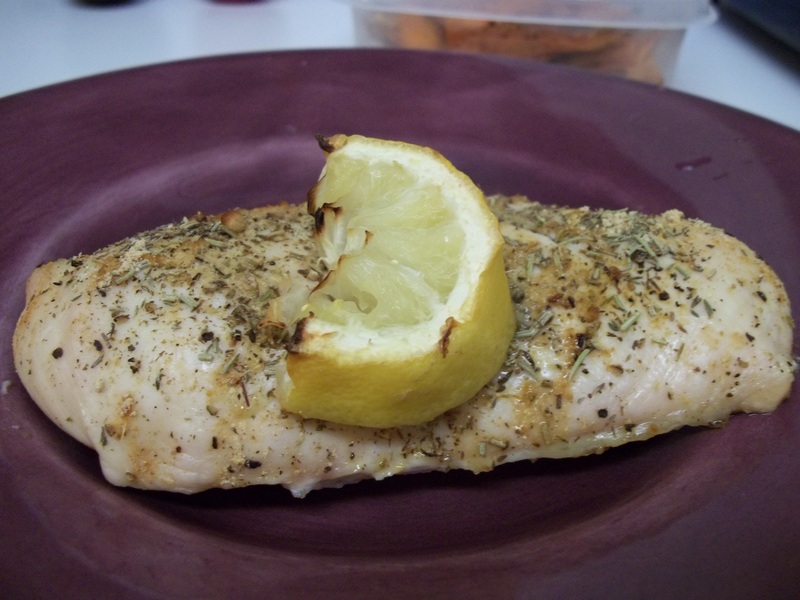 I then squeezed some lemon juice over the breasts, and sprinkled salt, pepper, rosemary, thyme, and ginger. 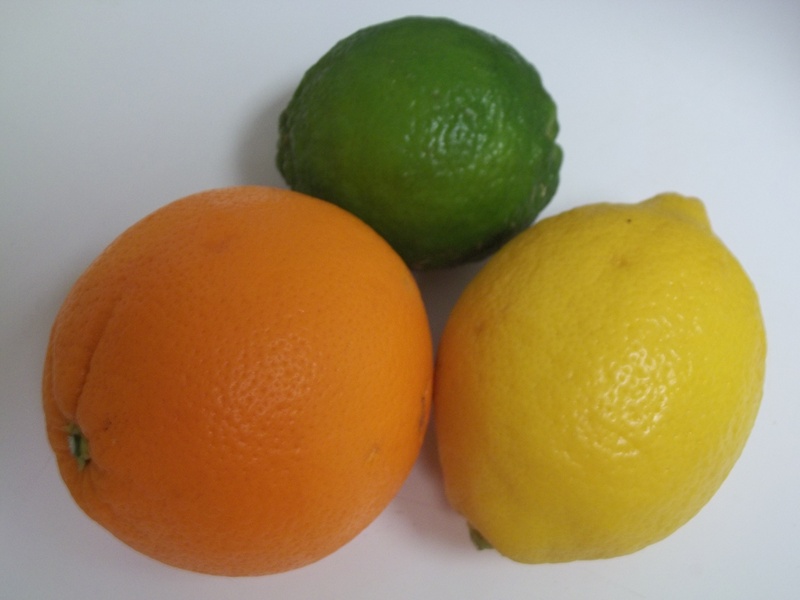 I am a big fan of ginger flavoring and thought it would complement the lemon juice. I put some lemon slices on top of the chicken to cook, but you could also stuff them inside for extra flavor. As you can see, the Citrus Herb Chicken turned out great! Saute the chicken in a large skillet with the fruit and spice combos until cooked through, then remove chicken and make a sauce with the pan drippings. To do this, after you remove the cooked chicken, add about a quarter cup more of juice or vinegar and spices. Cook for another 5-7 minutes until the liquid is reduced and then pour over chicken to serve.